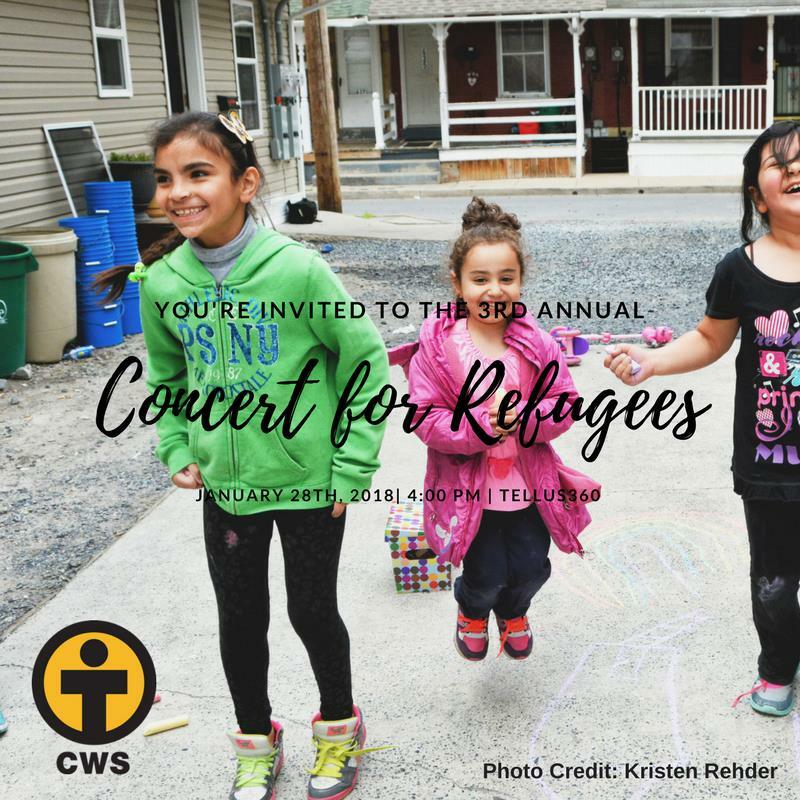 Please join us for the 3rd Annual Concert For Refugees, in partnership with the Lancaster County Community Foundation, Tellus360, Music For Everyone, and local musician and activist, Corty Byron, and the Green Onions. This year’s concert marks the one-year anniversary since the first executive order placing a ban of entry for refugees and immigrants to the US. These executive orders do not represent the acceptance and welcome of the United States, and certainly not that of our Lancaster community. Join us as we celebrate our unity and acceptance of welcoming the newcomer– because we all make America great– and together, we are all America. Let us take this time to unite as one– standing in solidarity with all our neighbors, regardless of who they are, where they come from, or what religion they practice. We are all neighbors to each other and in Lancaster– we welcome you. -4 pm Musical acts and performances by local refugee and immigrants of Lancaster County; various cultural and traditional experiences including African braiding, henna painting, art, dance, and much more! We look forward to seeing you on Sunday, January 28th starting at 4pm! All are Welcome! There will be something for everyone!